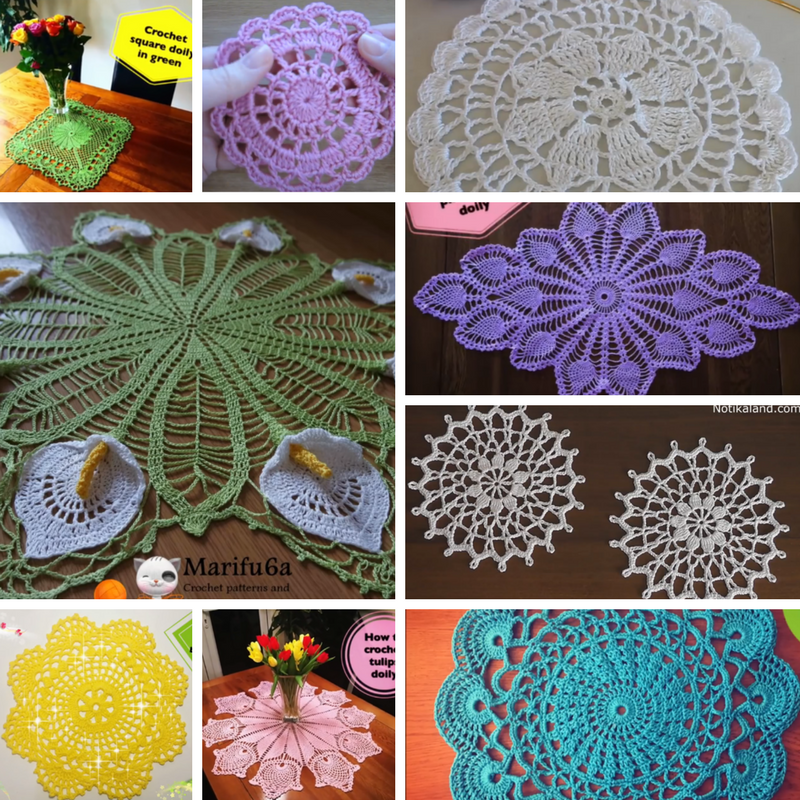 With these 21 Free Crochet Doily Patterns, you’ll add a wonderful vintage touch lovely to any room in your home. Doilies are beautiful decoration pieces and, most of them, are the result of amazing creativity and skill. They are excellent crochet projects for both beginners and advance crocheters for many reasons. They work up quickly and they make wonderful decoration items and great gifts. If you’re looking for a simple crochet project or for an instant ratification crochet project, these 10 easy and free crochet doily patterns are fun. Doilies are the type of crochet projects to use to get you through a rainy day or a lazy weekend. You can crochet them in different colors to get a modern and colorful effect and to add a happy and personalized look and feel to your home. Aunt Catherine made beautiful pineapple scarfs. Im learning now. Does anyone have a link for this pineapple pattern in a 60″ tablecloth size? Always found on every surface at Great Grandma’s house. If she ran out of string or floss, she used sewing thread. Thank you! There are a couple patterns there I might try. The pineapple was my mother’s favorite design. I grew up with lots of these! I have been crocheting since I was 12 years old and am now 76 and still love to crochet Doilys. And other things too. Mae Ludens – look at these patterns – gorgeous! Beautiful – love the color! Gorgeous! I used to crochet a LOT of doilies. Kind of itching to start again. I used to crochet with thread! I made this one from one of the patterns. Looks beautiful – must have a go! I love pineapple doilies. Made this one over Thanksgiving. Oh my, oh my, oh my. Such memories of when I first started crocheting all those years ago. I actually have the one at the head of this post on my dressing table right now. Will definitely be saving these patterns for a trip down memory lane. Hope my fingers hold out so I can really enjoy the experience. My mother started making a beautiful center piece by making the pineapple doily with yarn. People went crazy wanting them.